The Da-Lite Hamilton 25" Table Lectern is a sleek and elegant lectern with a light oak finish and classic boardroom style that never goes out of style. A 24 x 15-3/4" (61 x 40 cm) reading space easily accommodates a laptop, a three-ring binder and many other presentation materials. A spacious storage shelf provides room for additional storage. This lectern also includes a high intensity reading light and an LED digital clock/timer with countdown capabilities. The light oak finish blends with any conference room decor. The table top design allows this lectern to travel with you anywhere you go. A spacious storage shelf provides room for additional materials. The high intensity reading light allows presentations to be given in low light settings. The digital clock and timer help ensure that all of your presentations end on time. An oversized 24 x 15-3/4" (61 x 40 cm) reading space leaves space for laptops, three-ring binders and other presentation materials. 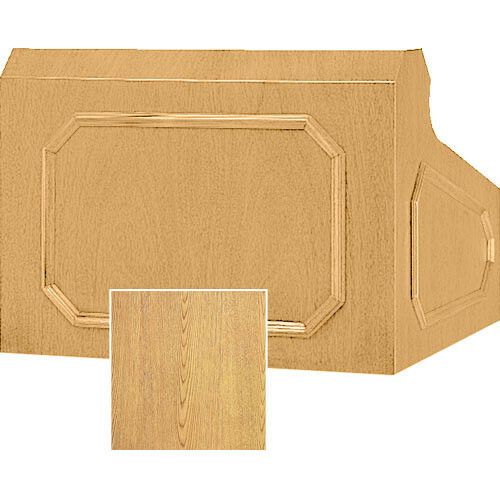 Box Dimensions (LxWxH) 28.0 x 28.0 x 28.0"